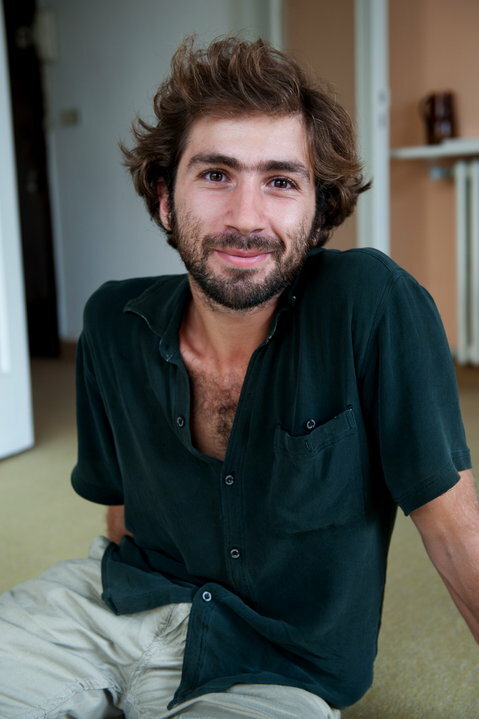 Aurelien was born and grew up in Lebanon. After his theatre studies in Paris, Aurelien worked as an actor with different directors such as Gilles Zaeppfel, Bruno Thircuir, Jean Bellorini and Nathalie Garraud. He performed also in choregraphic creations in France and Italy where he was an interpreter on Rafaella Giordano’s piece « Cuocere il Mondo » in 2007. He moves back to Beirut in 2007 and founds Collectif Kahraba, with whom he creates several theatre and puppets performances that toured in Lebanon, Syria, Iran, Qatar, Russia, Romania, United Kingdom and France. In 2011, he started co-directing Nehna wel Amar wel Jiran outdoor festival in Beirut, organised by the collective that gather every year more than 2000 people and around 40 artists. He has always been interested by the body language and all the different dance expressions and has participated to mask workshop with Marcela Obregon, Butoh dance with Yumiko Yoshioka, and contemporary dance with Christophe Leblay. In september 2010, he is a student of Takween-Beirut Contemporary Dance school where he took workshop with choregraphers such as Jens Bjerregaard, Marco Cantaluppo, Radhouane el Meddeb, Anani Sanouvi, Luc Dunberry. He creates then his first dance solo « I drank the sea and my fire still burns » in Beirut, performed in the Arab Dance Plateform in april 2012 and several time in Beirut. In 2012, he tours with Jens Bjerregaard (Mancopy DanseKompany) in « Every Last Breath » in Lebanon, New York, Singapour, and different venues in Europe. In 2014, he is the choreographer of « Pietà » a performance for Terminal Mù Contemporary dance company in Budapest , Hungary. The performance has been presented again in 2015 in Paris and Budapest.